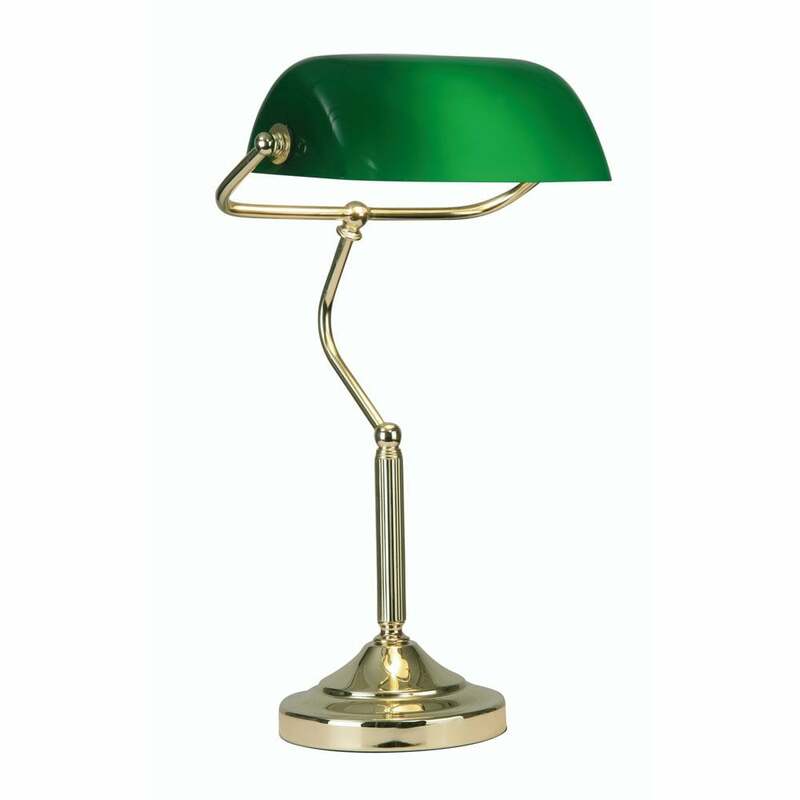 Oaks Lighting single light bankers lamp features a circular design base in a polished brass finish complete with a green glass shade. The product code for this lamp is TL 180 PB. Also available in antique brass which can be purchased via our website.